Moving from Boston to the charming town of Silver Bay, California was supposed to be Kate's fresh start from a painful past relationship, and she's happy with the life she’s building for herself. Order and structure, just the way her somewhat-control-freak self likes it. Until Jack. 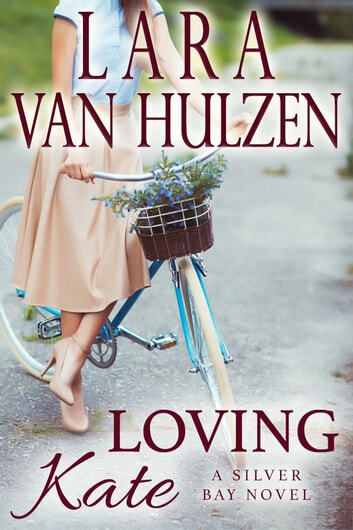 "Loving Kate" by Lara Van Hulzen is book number two in the "Silver Bay" series. This is Kate MacIntire and Jack Harden's story. Kate moved to Silver Bay after her divorce. Her marriage to her ex was an emotional abusive marriage. Kate is determined to do things on her. She doesn't want to be dependent on anyone. Jack and Kate met at the wedding of his brother and her sister. These two are total opposites but there is definitely a spark between them. This is a sweet and inspirational story. There are obstacles they have to work through. I enjoyed the courtship of Kate and Jack. I received a copy of this book from Tule Publishing in exchange for an honest review. Kate MacIntire has left her hometown of Boston for the small town of Silver Bay. She's living a life she's always wanted, discovered a half-sister and a handsome architect named Jack Harden. Coming from a bad marriage Kate wasn't ready for a relationship but Jack doesn't give up and soon they are an item around town. However, her past isn't ready to let go. I can't wait for more books in this series. I enjoyed the characters and hope to learn more about them in future books from Silver Bay. 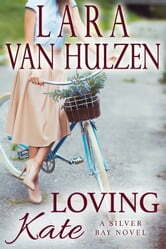 A wonderful sweet, inspirational romance that takes place in Silver Bay. Kate has come to Silver Bay after leaving an abusive marriage, not expecting to find romance again, especially in the guy that looks like a bad boy. Jack turns out to be anything but the bad boy, he has such an inner beauty that Kate soon can not resist. Loved the small town feeling in this book. This is the first book that I have read by Lara Van Hulzen, but will now go back and read, Return to Silver Bay. I highly recommend this book. Accidental meeting leads to Kate and Jack dating. The perfect example of opposites attract, there's no denying the chemistry and love they find in one another. When Kate's life is threatened, Jack helps her find the culprit and proves he's there for the long haul.